Small-intestinal perfusion studies with a triple-lumen tube were performed in the jejunum and ileum of 11 patients with a presumptive diagnosis of pancreatic cholera syndrome (PCS). Ultimately PCS was proven to be present in only 3 patients, whereas 6 were discovered to be taking either laxatives or diuretics surreptitiously. In 2 of the 11 patients the cause of the diarrhea could not be determined. In PCS the major abnormality which we observed was that the jejunal mucosa secreted rather than absorbed when perfused with a plasma-like solution. By contrast, the ileum of the PCS patients absorbed a plasma-like solution in a normal fashion; however, one patient failed to absorb sodium and chloride when a solution with low (50 mM) sodium chloride concentration was perfused in the ileum. The volume of endogenous fluid was high in both the jejunum and ileum, presumably because of proximal small-intestinal secretion. Glucose stimulated sodium movement in an absorptive direction in each patient. Studies were repeated in one PCS patient after tumor removal, and his intestinal absorption of water and electrolytes was normal. Patients with diarrhea due to surreptitious ingestion of laxatives and diuretics showed normal absorption in the jejunum and ileum. This study shows that proximal smallbowel secretion was the major cause for diarrhea in our 3 patients with PCS. This cannot be a consequence of diarrheaper se since it was not found in patients with long-standing diarrhea due to surreptitious drug ingestion. 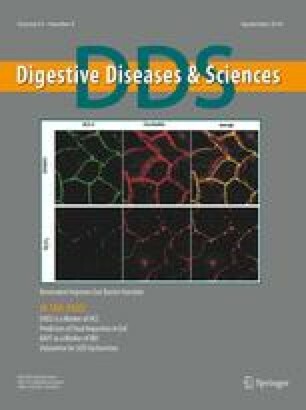 Small-intestinal perfusion studies may be helpful in the diagnosis and management of selected cases of severe chronic diarrhea. On the other hand, measurement of plasma VIP concentration, especially by methods currently used in the United States, is of little use and may be misleading. This study was supported by Research Grant 5 RO1 AM 06506 and 5 RO1 AM 17294 from the National Institute of Arthritis, Metabolism and Digestive Diseases, The Southwestern Medical Foundation, Dallas, Texas and Grant 5-MO1-RR-00633, General Clinical Research Center.